Blue looks great on every skin tone and it’s for the day time. Where yellow look very gorgeous and bright in summer. 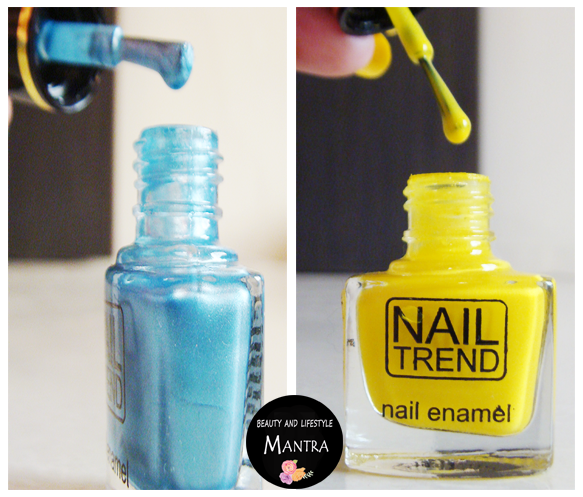 I think yellow color is one of the popular choices of all nail art lovers. Their polishes come in tiny transparent well packed bottles. Each bottle contains 5 ml. I don’t have anything complaint to about the brushes. Both brushes are very evenly cut and small in size but easy to control and spread the polish well. Chrome Blue is a metallic finish with very fine shimmer. Canary Yellow is a sunshine yellow with Glossy creamy finish. The texture and finish of the polish are fabulous. They are not too runny or too thick. Just needs 2 coats to give you the best desired color. But I needed 3 coats to get it to cover nicely. These are also very easy to remove. These are not as easily available in other stores. Only available at reliance stores. Yes, these colors are amazing for the price, so ones you can try them. Overall , you personal style matters the most when you choose a color. Colors affect your mood so you should own one nail polish color that can make you happy. 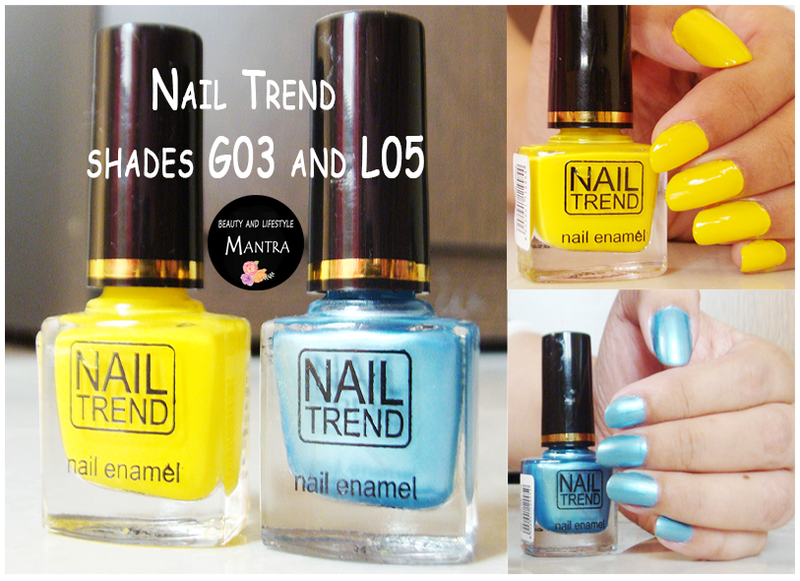 So if you are looking for this shining summer some thing new, some new shades of nail polishes then must go for this two color or you can choose your own. These shades are really gorgeous for the price we pay.